La Barje, Promenade des Lavandieres, open-air bar on the island. Come one, come all! In case of rain, please meet at the alternate raincheck venue. For reasons beyond our control we have decided to host this dinner at a later date to be announced, at a new venue. We apologize for any inconvenience this change may cause. Come by and meet us along with local English-speaking businesses, organizations, museums, clubs and service providers together to showcase their goods and services at the Congress Center, Basel Messe. 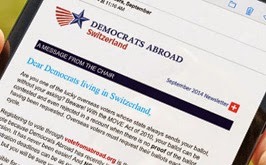 Tax filing deadline for Americans living abroad. Not so much an event and a date that demands reminding. Get out your glove and get in some practice now, we need you! 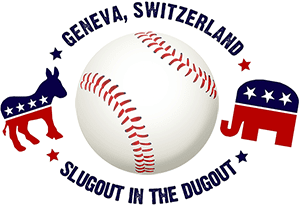 The annual Democrats v. Republicans softball game will take place at the Centre Sportif de Vessy. Join in the action on the diamond, or in the bleachers! Picnic lunch. 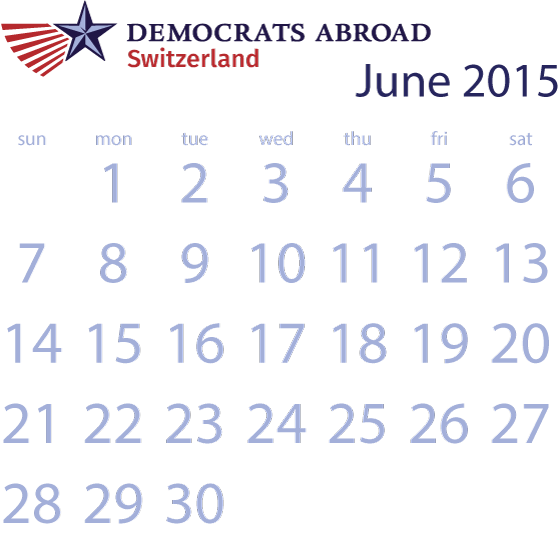 Watch for details in our June Newsletter (scheduled June 8).